I continue to contemplate these fertile words by poet Robert Frost this week as I have been recovering from a nasty cold. When considered in today’s socio-political context of chaos, paranoia and misapprehension, it is true once again, that we are at a crossroads, you and I. And it is a crucible not unfamiliar to us, for through the ages we have been faced with many divergent roads. Some roads have been heavily trod, warn by war, oppression and conflict, while others of peace, equanimity and dignity still lay “grassy and wanting wear.” The writer of James in this Sunday’s epistle declares that we must be doers of the Word, not just hearers. Jesus constantly calls us to action rather than comfort, to radical love in his name, not a vague Christianity devoid of sacrifice or inconvenience. 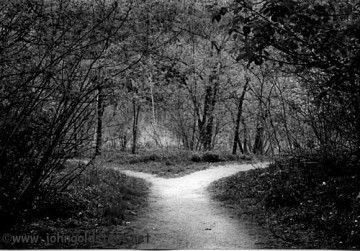 To follow Jesus, we must follow him down the path less travelled, even if our prosperity, our good name, and even our life itself is threatened. This Sunday we continue down that path, together with God. See you then!